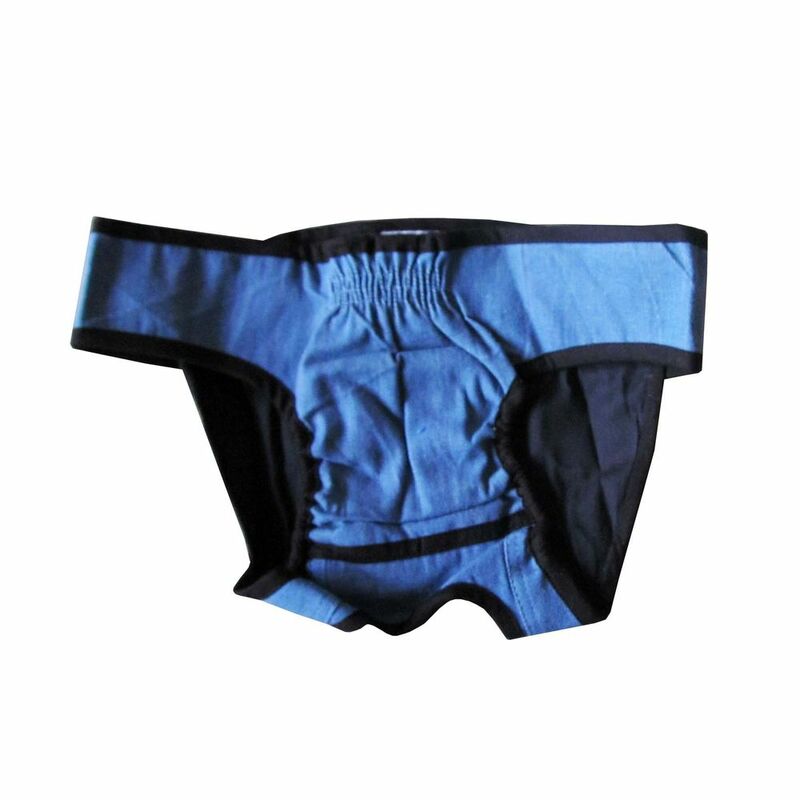 Dog diapers are designed for male or female dogs that experience excitable urination. They are also great for housebreaking puppies, or for female dogs in heat. THEY EVEN WORK FOR CATS!! Each dog diaper is made of durable, soft, Cotton Denim. They are lined with a soft plaid flannel fabric for added comfort and an absorbent mesh liner that can hold an absorbent liner for protection against a heavier flow of liquid or waste. The dog diapers are machine washable. For pets that have a heavier flow, we recommend using optional Biodegradable Diaper Pads which can be used in conjunction with the garments for added absorbency. For light seasonal flow or minor excitable urination the garments may be used alone with the pads. Suitable for: Female dogs in heat - protects leaking from errant bleeding, as well as preventing unwanted advances from male dogs. Also suitable for dogs having problem with urination. 10" to 13" Around Waist Toy breeds and puppies. 13" to 20" Around Waist Perfect for Maltese Pekingnese, etc. 17" to 26" Around Waist Such as: Beagle, Boston Terrier, Cocker Spaniel, Miniature Poodle, Sheltie, etc. 20" to 28" Around Waist Such as: Bull Terrier, Bulldog, Schnauzer, Springer Spaniel, Collie, etc. 24" to 31" Around Waist Such as: Boxer, Chow, Dalmation, Golden Retriever, German Shepherd, etc. IMPORTANT NOTE: To ensure a proper fit for the anatomy of your male dog, choose the next larger size.